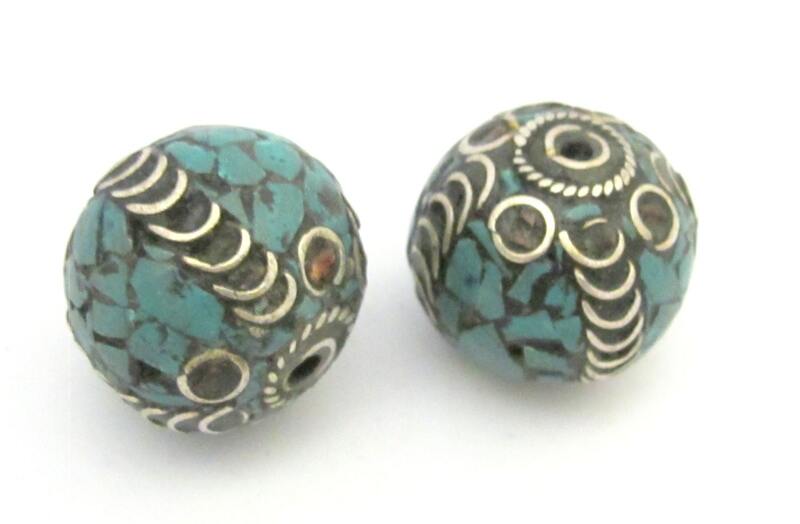 Large oval shape nepalese Brass Beads. 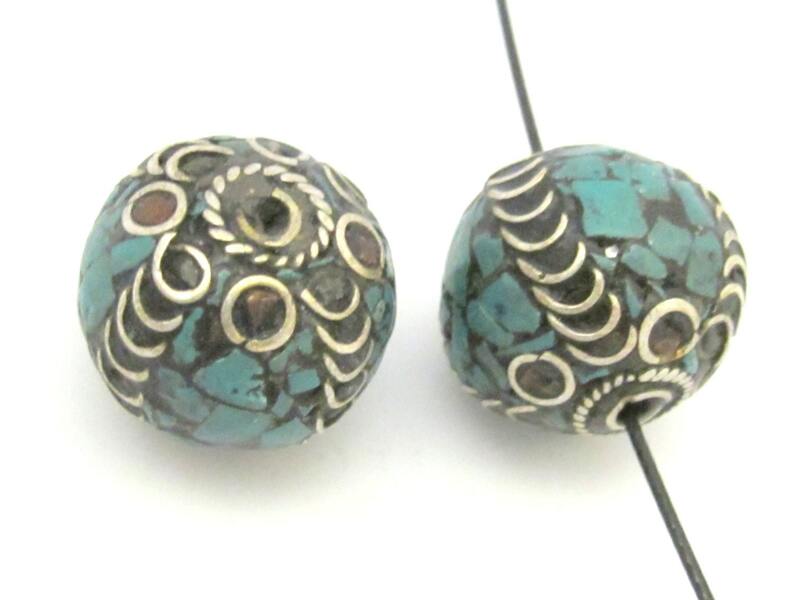 Each bead is inlaid with turquoise and coral . These are handmade in Nepal. 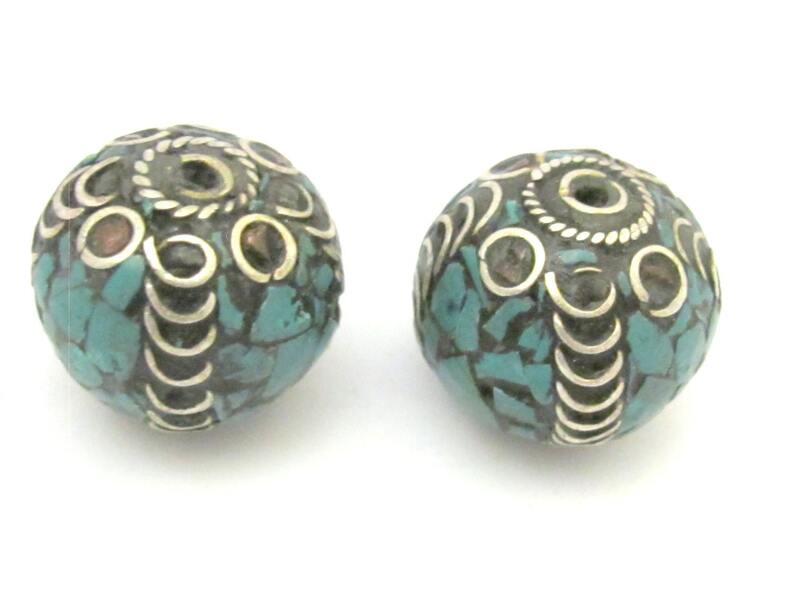 Size : Approx 20 mm wide x 18 mm (hole to hole). 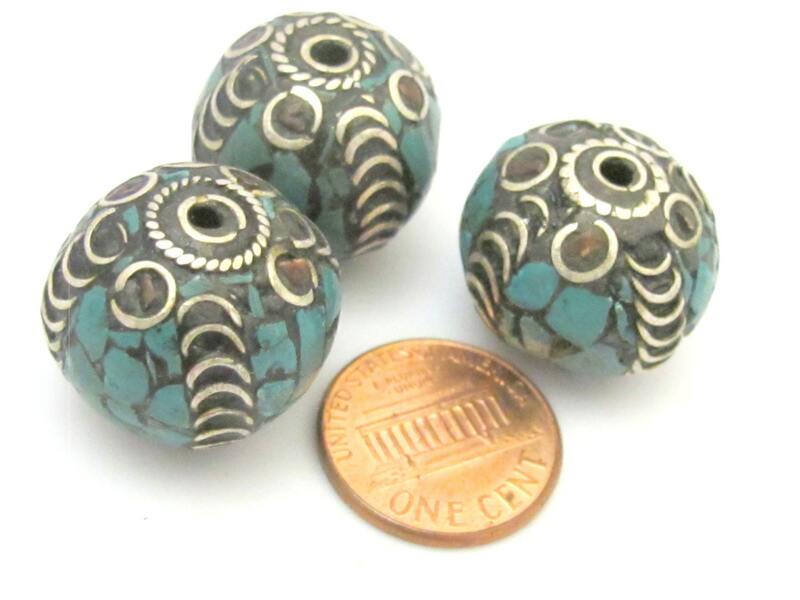 Bead hole size is approx 2 mm to 2.35 mm.